their commitment to implement green building measures in their designs. Indonesia is the fourth most populated country in the world and also the fourth largest greenhouse gas emitter, after the United States, China and India. As part of its plans to reduce emissions by 29% by 2030, the government is pushing for higher energy efficiency in buildings. The buildings sector is the country’s third-largest final energy consumer after the industrial and transportation sector. It accounts for 27% of the total final energy consumption and is expected to rise to 39% by 2030. IFC and its local partner, GBC Indonesia, aim to turn 20% of the new construction projects (equivalent to 80,000 housing units) into green initiatives in select cities by 2021. This level of penetration will help cut 1.2 million metric tons of greenhouse-gas emissions per year, avoid 500 megawatt-hours of energy use, and save almost $200 million per year by 2021. "Climate Change, environmental problems and population growth force us to create a better place to live,” said Naning Adiwoso, Chairwoman, GBC Indonesia. “Green buildings are no longer an option, they are a necessity. Good enough is dead. The way we work will never be the same. Are we driving change, or are we being driven by it?" With IFC’s support, mandatory green building codes have been adopted by the pioneering city and national governments over the past three years and demonstration effects have encouraged replication and the spread of good ideas. These regulatory and policy frameworks require a majority of new large-scale building projects to conserve resources such as energy, water, and building materials, during construction and operation. These requirements are expected to have significant economic, environmental, and social impact over time. The IFC Green Buildings team in Jakarta has helped lay over 18 million square meters of new floor area, and it has reduced over 700,000 tons in terms of carbon emissions. IFC is widely recognized as the premier global-development organization in the building resource-efficiency space due to its extensive global experience in green-building regulations and facilitating access to finance for green-building owners and developers. IFC’s EDGE (Excellence in Design for Greater Efficiencies) green building certification is helping builders worldwide to incorporate energy-efficient technologies into their buildings, thus helping to save resources and reduce greenhouse gas emissions. IFC has successfully provided advisory services and implementation support for mandatory green-building/energy-efficiency regulations in several countries in the region, including Indonesia, the Philippines, and Vietnam. EDGE is an online platform, a green building standard and a certification system for more than 130 countries. The free application helps to determine the most cost-effective options for designing green within a local climate context. EDGE can be used for buildings of all vintages, including new construction, existing buildings and major retrofits. In the last two years, about 30 large projects in Indonesia have either been EDGE certified or are undergoing the process, demonstrating clear impact and early-market creation. 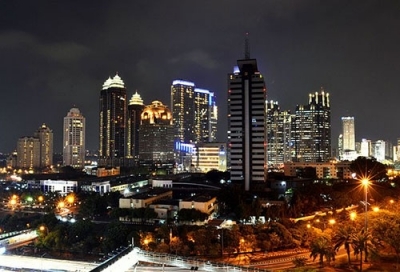 Pictures of Sudirman Central Business District, Jakarta by Muhammad Rasyid Prabowo, reproduced under CCL.